Snow! We finally have a real snow here in central North Carolina! And the fact that it came on a weekend makes it even better. No missed work days. No stressful rush hours. Just relaxing and enjoying the snow, while planning for our spring garden! Our budget for this week does not include salmon purchased last week, but still in the freezer. That’s a carry over. And the collard greens and Swiss chard are from the garden. Still, we are doing fairly well at staying below our $100 limit. We are making some new recipes this week, many of them adapted from the magazine Clean Eating. Breakfasts this week include more oatmeal and some oat granola breakfast bars we’re trying this weekend. Will let you know what our favorites are! 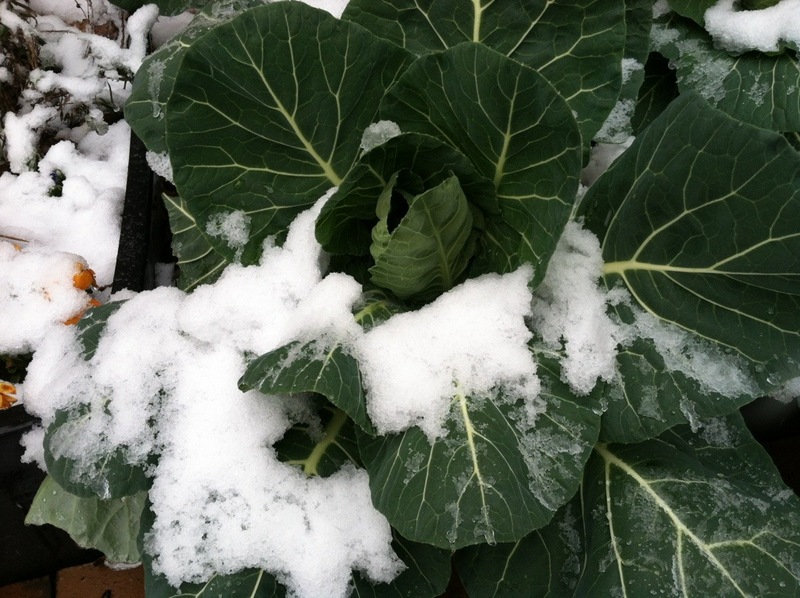 Stay warm and start planning for spring gardening–it will be here before we know it!